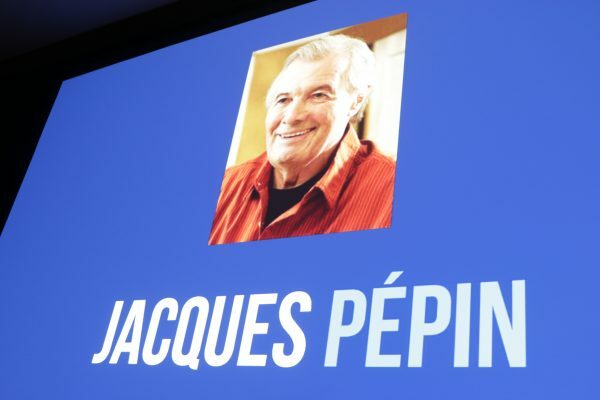 When a culinary legend as beloved as Jacques Pépin is being honored, it honestly doesn’t require any arm-twisting to get us excited about joining in the celebration. So when we were invited to attend Tuesday night’s fourth annual gala at the Mandarin Oriental Hotel in New York City honoring eight extraordinary people who are living proof that octogenarians can be vital and creative and inspiring, we were only too happy to see that Jacques would be among them. 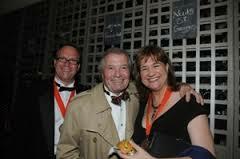 Winning our second James Beard Book Award for THE FLAVOR BIBLE in 2009 was a thrill for us, not the least of which was the perk of getting to meet Jacques at the Awards after-party hosted by Daniel Boulud at Bar Boulud (photo, left). It turns out that Jacques is being kept very busy this week picking up awards in Manhattan: He mentioned Tuesday night that he was on his way to last night’s Spoons Across America event at the Essex House to present Rachael Ray with an award he’d been honored with a few years ago, not to mention to pick up an honorary doctorate at his alma mater Columbia University. The latter seems to offer more than a little satisfaction to Pepin, who earned bachelor’s and master’s degrees at Columbia in 1970 and 1972, respectively, writing his master’s thesis on Voltaire. However, his proposed thesis for Columbia’s PhD program — a study of food in French literature spanning Balzac, Proust, Voltaire, and Zola — was flatly refused. Let that be a lesson to all the young ‘uns reading this of just how much the perception of food has changed in American society over the past half-century. And let none of us forget the important role of a visible, articulate chef like Jacques Pepin in changing that perception. 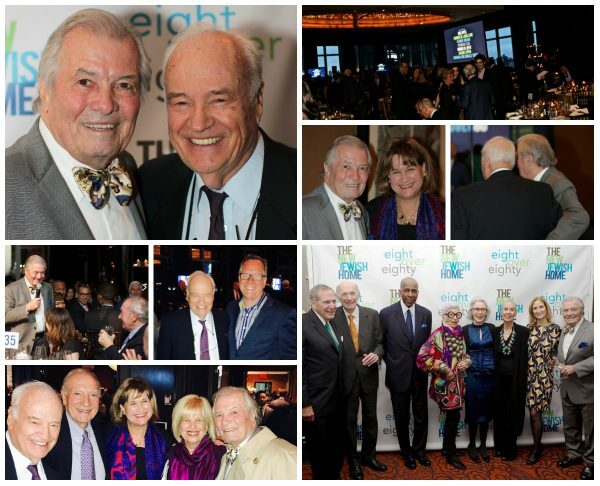 We relished the chance to salute Jacques, along with his fellow “Eight Over 80” honorees: style icon Iris Apfel; dancer, choreographer, and actress Carmen de Lavallade; civil rights attorney Vernon Jordan, television luminary Norman Lear, and business and philanthropic leaders Morris W. Offit, and Barbara and Donald Tober. Making the celebration all the more festive was the good company of Pepin’s dear friends and esteemed colleagues Andre Soltner (whom Pepin has referred to as “one of the greatest chefs in existence”), Arlene Feltman Sailhac (founder of DeGustibus cooking school, and a fellow member of Karen’s in Les Dames d’Escoffier), and Alain Sailhac (Dean Emeritus of New York’s International Culinary Center). Sponsoring “Eight Over 80” is The New Jewish Home, a not-for-profit that is committed to transforming eldercare for New Yorkers so they can live meaningful lives in the place they call home. 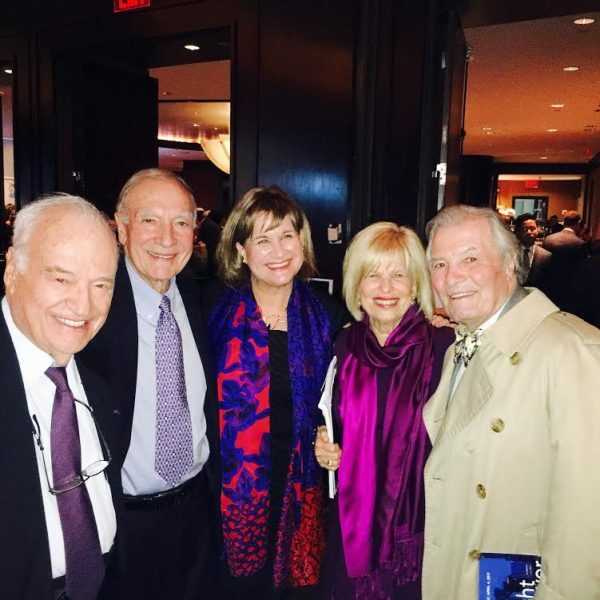 The event celebrates life and aging in an entirely new way, just as The New Jewish Home has been serving New Yorkers of all faiths and ethnicities for nearly 170 years as one of the nation’s largest and most diversified not-for-profit geriatric health and rehabilitation systems.